Let’s face it—despite its designation as the “Season of Joy”—for many of us the holiday season is a minefield of emotion and stress. The folks at Mazzoni Center’s Behavior Health program understand how stressful the holidays can be, especially for our community. That’s why they created a Holiday Survival Guide. Back by popular demand, it’s our 2017 Holiday Survival Guide! Despite the joyful reputation – and no matter your age or station in life – we all know that the holiday season can be an anxious time. 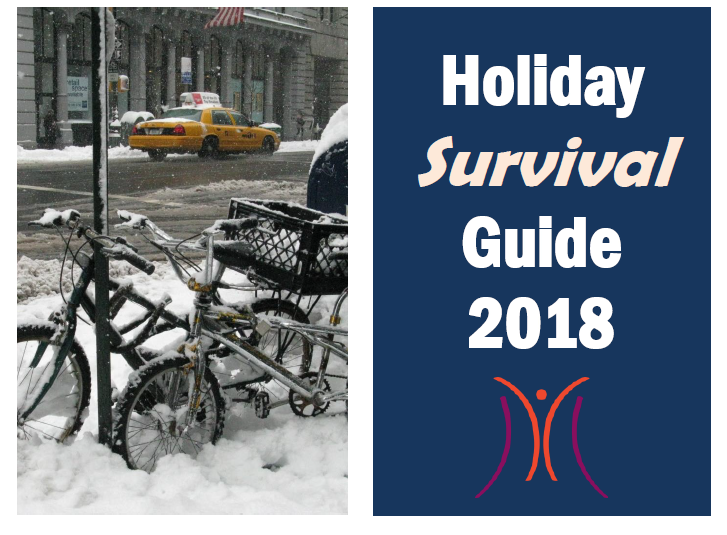 Every year the team at Mazzoni Center’s Behavior Health program puts together a thoughtful and comprehensive booklet we call uour “Holiday Survival Guide,” filled with tips and advice on navigating a season that can often bring challenges. Back by popular demand, it’s our 2016 Holiday Survival Guide! Mazzoni Center Legal Services, in collaboration with our friends at the ACLU of Pennsylvania, have put together a two-sided flyer, explaining the legal rights of anyone involved in a protest. Side one of this flyer was prepared by the ACLU of PA, and outlines some basic do’s and don’ts to stay safe in an encounter with law enforcement officials. Each year staff from our Trans Care Program publishes an updated version of the Philadelphia Trans Resource Guide in conjunction with our annual Philadelphia Trans Health Conference. The idea is to help connect people who are trans identified, genderqueer or gender nonconforming, as well as their families and loved ones, with resources and services beyond what Mazzoni offers that may be relevant and helpful to them.